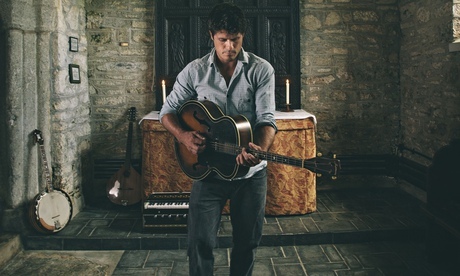 Seth Lakeman, the Dartmoor born and bred folk singer has just released a new album – Word of Mouth. I’ve got all his albums (7 in total now) and I have seen him a couple of times in concert. His music is a new vibrant and driving take on traditional English Folk Music. He sings about tin miners, travellers, labourers and Dartmoor’s wild places. Whenever I hear his music I always thing of the people, myths and legends who lived, worked and died at the places I now look after for the National Trust – the miners at Wheal Betsy, the tool makers at Finch Foundry and the farmers on the Upper Plym. For me Seth Lakeman and Dartmoor are totally intertwined. I guess whenever I get a new album I always hope he will have written about the Victorian Finch brothers who made agricultural tools in Sticklepath! Maybe on the next one! Seth is a fine musician who plays the fiddle, tenor guitar and more recently the 6 string guitar. If you haven’t come across him – check him out – he is very accessible and exudes energy. Follow this link to see him playing Kitty Jay – perhaps his most famous song about the grave of a spurned young lady near Hound Tor.